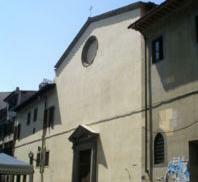 A curious story regards Andrea del Sarto and his principal work: The Birth Of The Virgin. 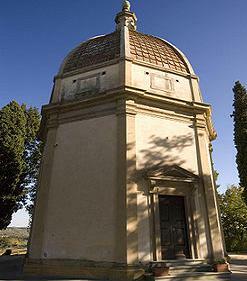 It was said that the artist fell asleep after having designed the angel and dreamed that he was not clever endugh to paint a virgin better than the angel already designed. 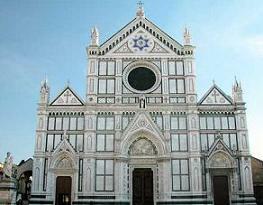 On awaking he found the painting already completed by a "miraculous hand". 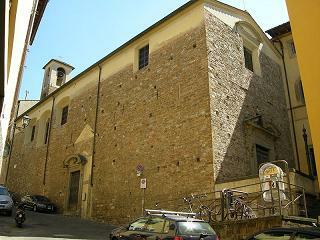 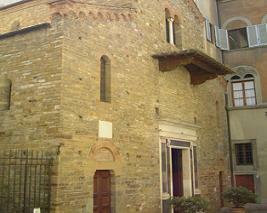 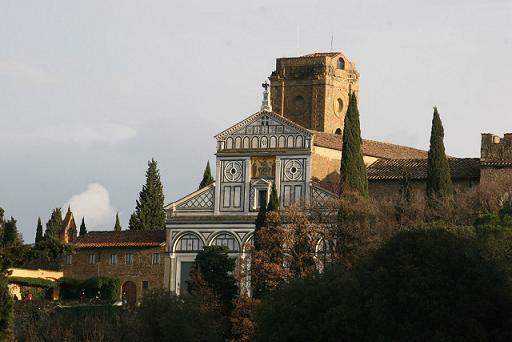 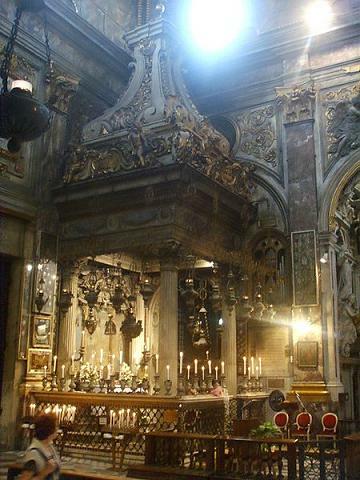 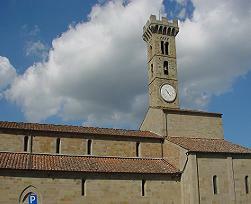 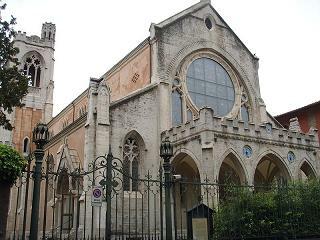 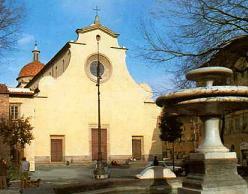 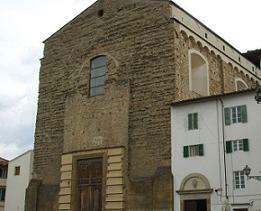 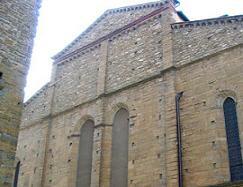 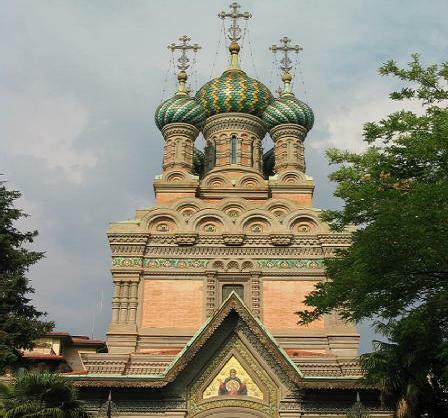 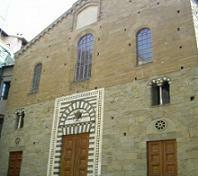 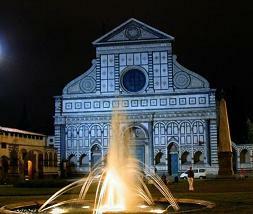 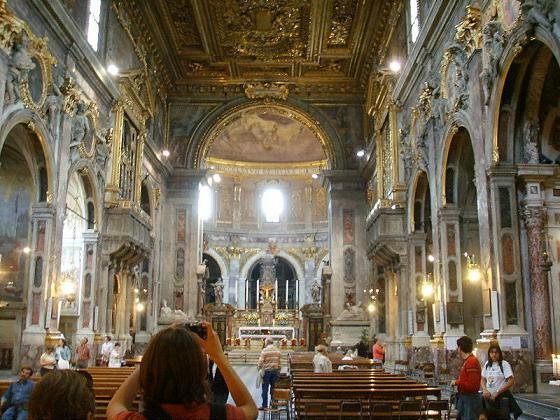 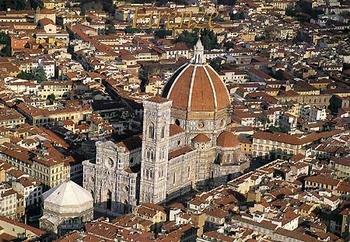 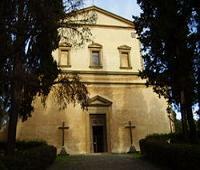 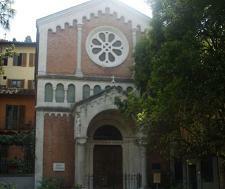 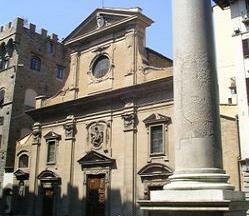 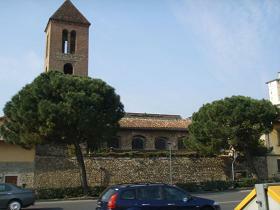 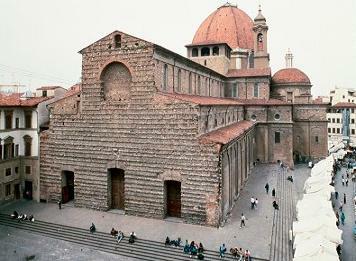 The church rose on the old oratory of the Servites of Mary.It was rebuilt between 1444 and 1481 by Michelozzo with the help of Pagno Portigiani and Antonio Manetti.The latter,on suggestion of Leon Battista Alberti,modified the central tribune which Michelozzo had built taking as example the Rotonda of S.Maria degli Angeli by Brunelleschi. 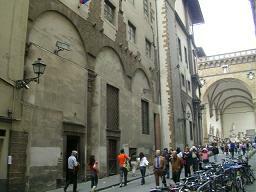 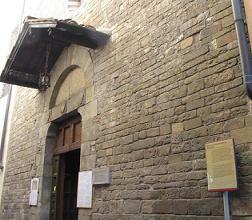 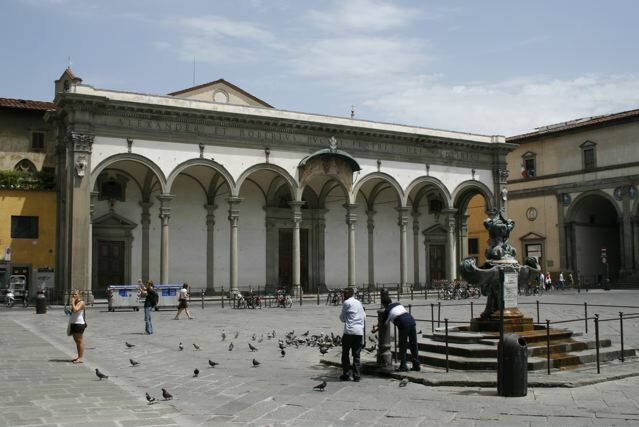 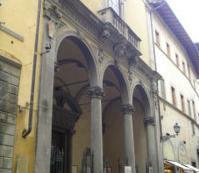 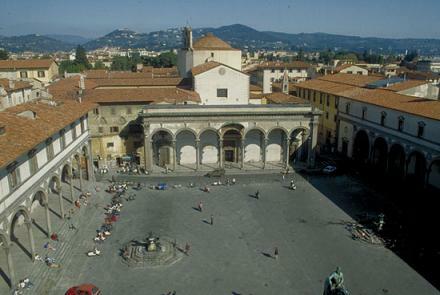 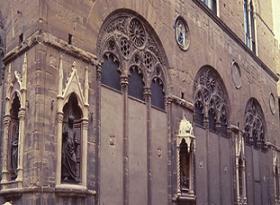 The facade has a front portico with seven arches on columns.From there the entrance to the small cloister of votes,frescoed by Rosso Fiorentino,Pontormo,Andrea del Sarto and others. 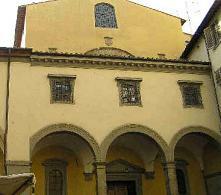 From the portal on the left,there is the entrance to the Cloister of the Dead,Renaissance architecture,built by Pagno Portigiani following a design by Michelozzo.Here some important works:the Madonna del Sacco,a wooden Crucifix believed by Antonio da Sangallo,some works by Della Robbia.